When a service is delivered, sometimes there are two organisations involved, but often we only get to hear about one of them. This has been the case for Mears for the majority of its working history. They reached a point where they knew they had to address this and who better to talk to than Atticus? We worked with Abigail Lock, former Head off Communications, to shine a brighter light on the Mears brand, giving it equal billing with the partner brands they work with. Rather than fighting against partner brands, we created a design framework that had a common Mears theme that used certain aspects of local partner brands such as colour, image style and messaging. 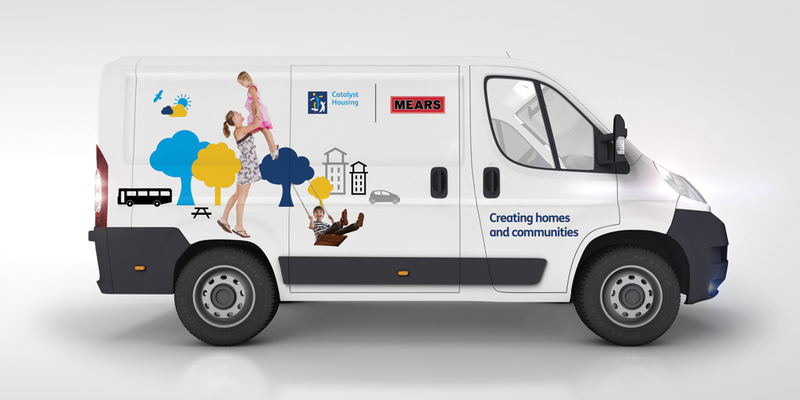 The new van design has had an immediate effect, bringing the sparkle back to the Mears brand, giving it the lift it deserved.